We manufacture ,wholesale ,and retail various grips,such as:copper and steel wire grip,Aluminium and A.CS.R grips,insulated cable grips,conductor grips,ground wire grips,etc. This kinds of cable grips is made by Aluminium alloy or iron material,has light weight,easy handling,no slipping. Best suitable for linesmen, bridgebuilders, industry and agriculture. 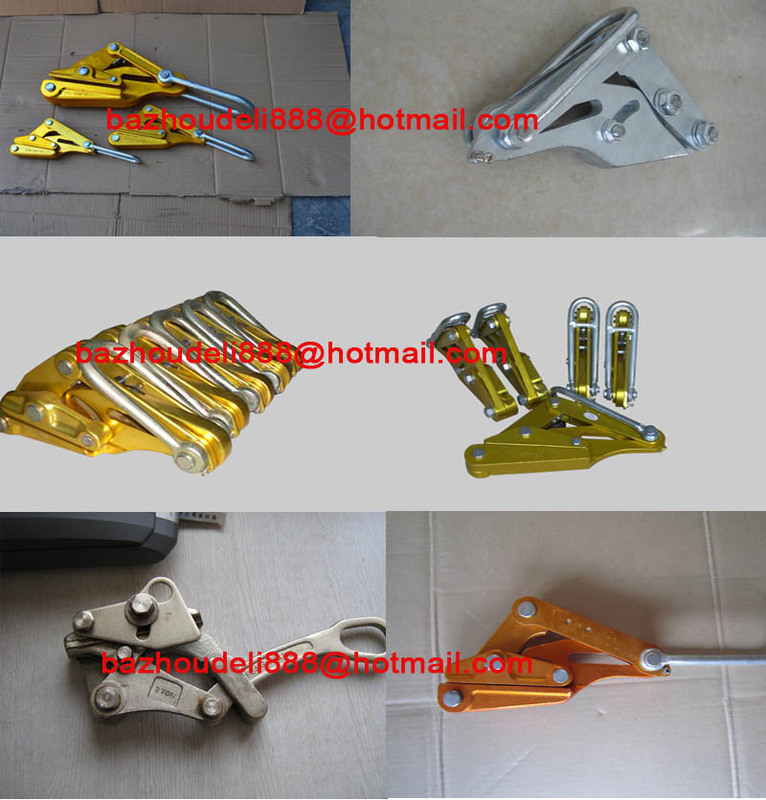 We provide the follwing kinds of cable grips. Application: steel-cored aluminium strand wire, communication cable, copper wire, aluminium wire. Application: insulated conductor, bare copper wire, bare aluminium wire. Application: steel strand, steel-cored aluminium strand wire, copper and aluminium wire. Application: steel cable, steel strand, steel wire rope. Application: used for weaving anti-twist steel wire rope. Application: used for OPGW gripping.. Application: steel strand, steel-cored aluminium strand wire, all kinds of conducting wire. Application: used for ground wire (steel strand or aluminium steel stranded cable) construction. Application: steel rope, steel strand, copper wire, insulated wire.